Two weeks ago, we had to send Manchester a very difficult email, we saw their pain and we saw their strength and our thoughts were with them, hoping that our members, their loved ones and everyone else in the city would be safe. We were worried, saddened but also hoped that this would be the end, this would be the last email of that kind. This Saturday, our city was attacked. 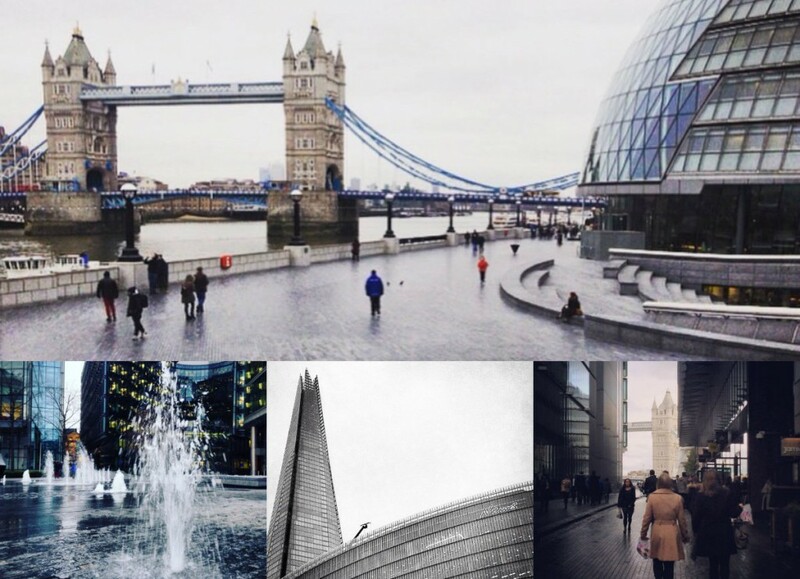 Our team is here in London, this is where it all began for citysocializer and London Bridge is an area we know our members go out to often. I was at a social in London Bridge myself just a few weeks ago and realising this was a shock. Being out for drinks while this attack was happening I was suddenly on my phone, checking up on friends who I know would be out as well, trying to get more information about the events that were unfolding. Then the questions started, what would I do in that situation, how are we supposed to react, what can we do to help? I spoke to a variety of people and this is the advice I got. I wanted to share it here, for the worst case scenario, even for the one person like me who may not be sure what the best course of action is during an incident. As soon as you realise an incident is happening in the street you need to get away from the scene. If you are in an open space, run away from the scene and look for cover. Depending on the situation it may be wise to get inside the closest venue and let them know. This is what happened in London Bridge on Saturday. Most places should have a security guard at the door, alert them immediately and help them barricade the doors. Call the police as soon as possible. Inside the venue, turn the lights and music off, hide in the back and stay quiet. Remain calm and try to comfort anyone who may be upset. 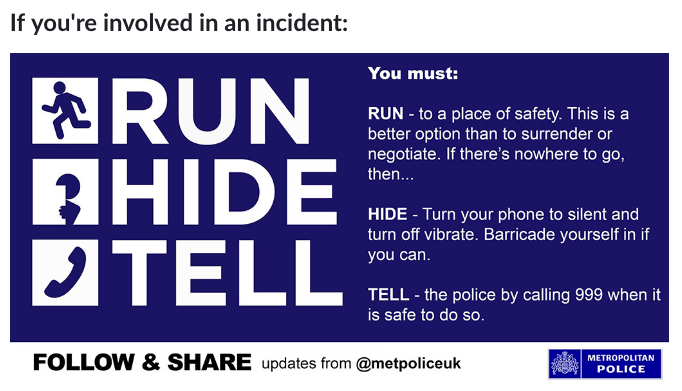 Wait for the police to come and give you further instructions or help you get to safety. Some extra advice for hosts and guests during socials… Luckily you all have access to the guestlist, you know who is supposed to be at the social and how many people you are looking out for. If anything happens and let’s say you are barricaded in a pub together, use the list to make sure everyone in the group is there. When the police arrives let them know if anyone from your group is missing. Furthermore, while we all love a drink after work and a proper night out, we would like to urge you to drink responsibly. Make sure you keep your wits about you and try to be aware of your surroundings. If anybody during the social seems to be unable to handle their drink, do keep an eye on them and suggest they take a taxi home at the end of the night. Whenever possible, you can extend that advice to strangers as well. If someone is unable to take care of themselves, helping them to a cab might be the safest solution. Having said all that, we can not stay home forever, or put our lives on hold. So stay strong, live life to the fullest and take care of yourselves. Our thoughts are always with you.